On the 1st September 1939, over 3 million children were evacuated from the cities into the countryside. For many, it was their first time going outside the city. Many evacuees were very sad to say goodbye to their parents, but some were excited for the time ahead. Those under 5 years old had their mothers evacuated with them. Why were children evacuated from their homes? They were evacuated because the Government feared that many children would die in the event of bomb attacks, so they wanted to get them out safely. 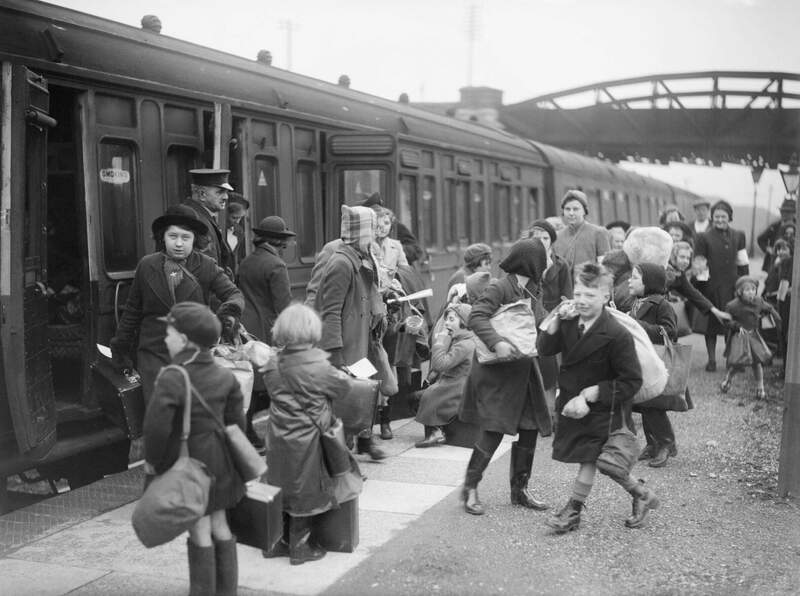 A group of children arrive at a station at Brent, Devon after being evacuated from Bristol in 1940. What was it like for the evacuees? The majority of the evacuees had never been outside London. Most had never seen a farm animal before. The majority swore a lot, much to the shock of those living in the countryside. Not many of them had seen lush green fields or trees before they went out to the country. The children evacuated would then be taken to somewhere such as a town hall once they had arrived at the village/town they had been evacuated to. They would then be chosen by the locals to stay with them. For 9 months after the war begun, not much happened for ordinary Brits. There were no bomb or gas attacks. Parents in the city wanted their children back with them (quite understandably.) 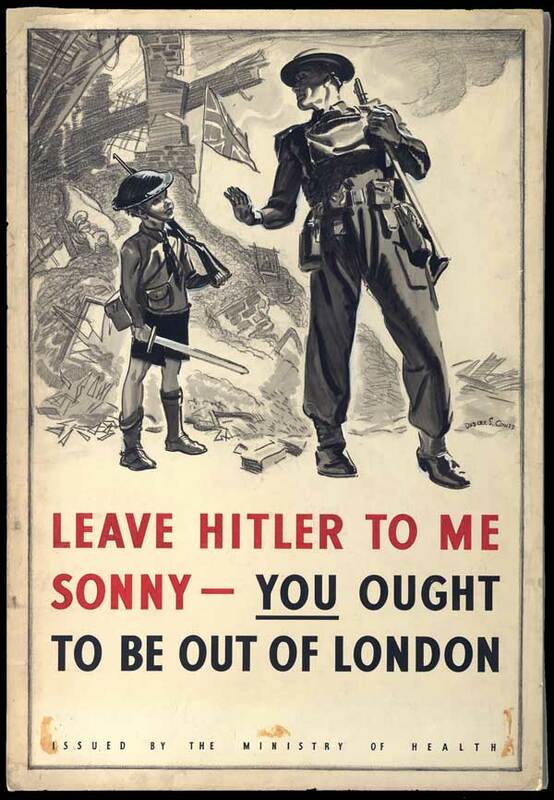 Propaganda programmes and posters were put up encouraging those evacuated to stay in the countryside. A propaganda poster by the government encouraging children to stay in the countryside. 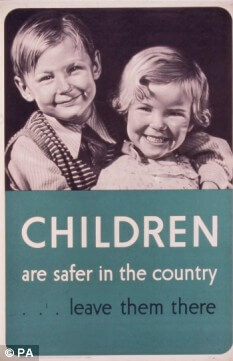 A poster encouraging parents to keep their children in the countryside.